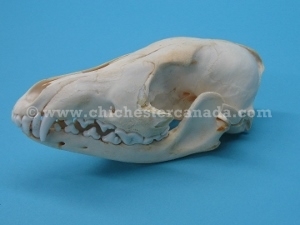 These coyote skulls have been professionally cleaned and prepared. They come with the teeth and lower jaw. They are sorted into #1 skulls, which have no breaks or holes, and #2 skulls, which have broken pieces and may have holes or missing teeth. 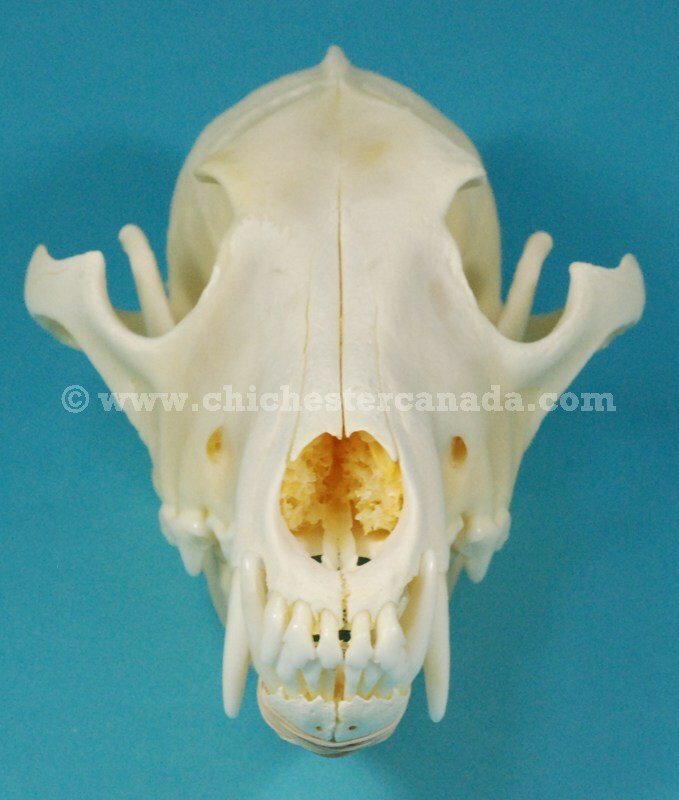 We measured one #1 skull as 8" (20.5 cm) long and 4.5" (11.5 cm) wide. 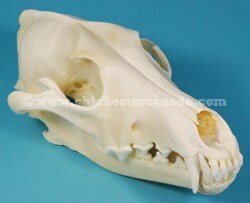 The highest points of these skulls range between 3.5 - 4" (9 - 10 cm). Genus and species: Canis latrans. Wild. 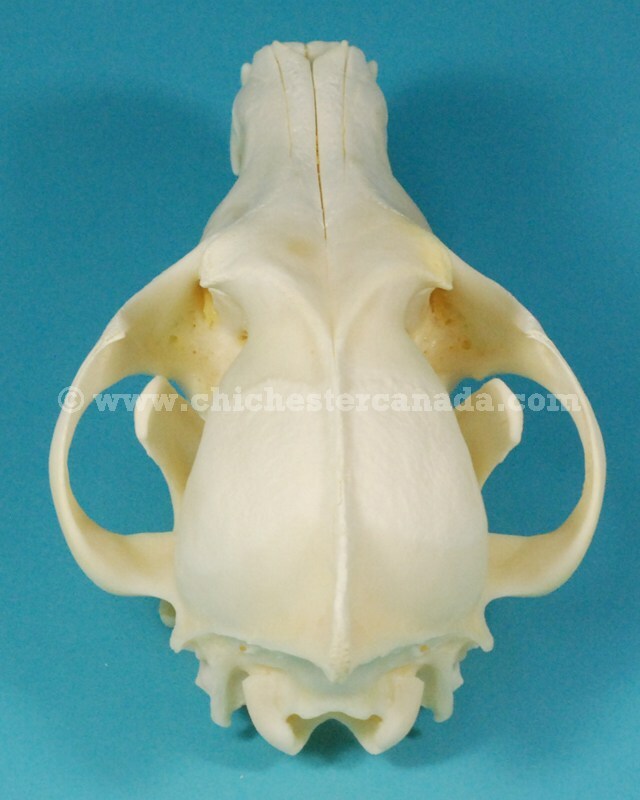 Coyotes are not an endangered species and are not subject to CITES controls.